OW! 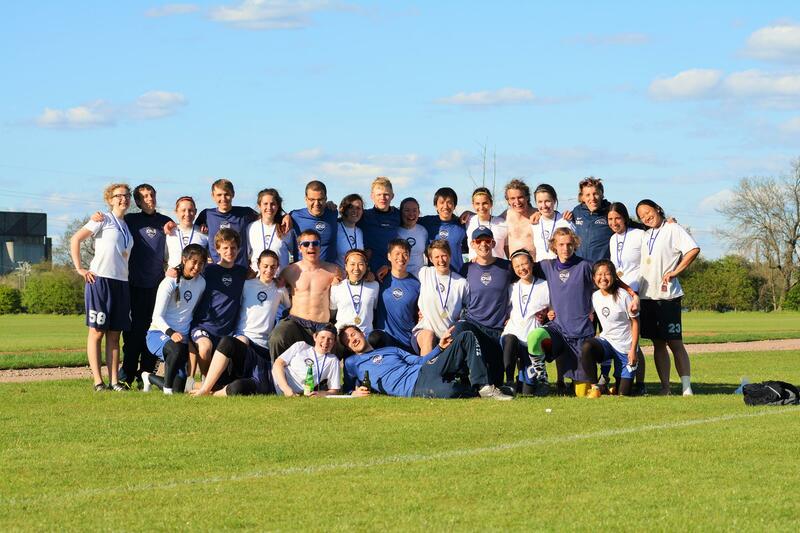 will soon start training for another epic year of ultimate. We have some big goals ahead of us: Indoors, Mixed Outdoors, BUCS and more. We all know it. Fitness is important for playing ultimate. Whether it means hitting the gym or training in the park, this pre-season fitness guide should give you some prompts and top tips on how to raise your game before and during the 2018/19 OW! season, by doing some ultimate-specific fitness training. First up, strength and flexibility. Both are important for ultimate. The static exercises below are great for ultimate. Type them into YouTube if you’re not sure what they are. LEG STRENGTHENING. squats, split-squats, box step-ups, squat jumps, lunges. Nordic hamstring curls, leg curls, calf raises. PUSH-PULL EXERCISES. bench press, shoulder press, push-ups, pull-ups, tricep dips, dumbbell rows. HIP EXPLOSION. kettle bell swings, hang-cleans, deadlifts, single leg deadlifts. Plank, Russian twists, bicycle crunches, leg raises, rollouts, raised leg single squats, supermans, burpees, sit-ups. Stretching: focus on hip extension, hamstrings, shoulders, glutes, quads, calves, ankles. Second, endurance and agility. Better ultimate players work on both of these. The majority of the exercises below don’t need any equipment: the park is the best place to try them! SHUTTLE RUNS: Try high intensity, short interval training. Try 10 x 180 degree turns in 30 s of sprinting, and then 90 secs of rest. Repeat 10 times. LEARN HOW TO SPRINT: Sprinting is a core part of the game, yet few players practice it. Practice: A,B,C skips, driving your arms, increasing your cadence, taking shorter steps, leaning forward, correcting your shin angle, correcting your breathing, running uphill. AGILITY DRILLS: Practice your footwork (e.g. on agility ladder): shuffles & skips. Practice your turning, core engagement, and jumping. Pick a few of the exercises above (not all of them!) and try a workout! Shuttle runs 6 x 180 degree turns in 20 s of sprinting, then 90 secs of rest. Repeat 8 times. For each static workout, we recommend picking 3-4 exercises and trying 4 sets of 8 to 10 reps.
For each dynamic workout, try to get a minimum of 30 mins of high intensity exercise in. Gradually build up the number and intensity of the exercises with each workout as you progress. We recommend 1-2 fitness sessions a week for beginners, and 2-3 sessions for advanced players. But listen to your body – allow it time to rest! Being able to manage injury well is critical for your long-term ultimate career. We want minimal injuries over the 2018/19 OW! season. Below are some top tips on how to prevent and cope with injury. Working out for ultimate lowers your risk of injury. Don’t play injured. See a doctor and get the right diagnosis. Recover and build strength. Don’t just aim for your original level of fitness, aim to be stronger than before. This reduces your chances of the same injury reoccurring. Patience. Take one day at a time, look at what you can achieve from each workout. Positivity & perspective. Our mental game affects all other parts of our game. Be grateful you can come back, learn from your injury, and, eventually, don’t let your past injuries hold you back. 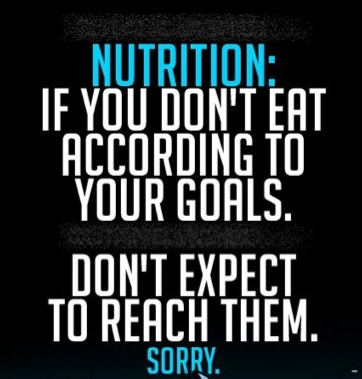 A good diet is vital when playing any sport. Many ultimate players don’t realise how much fuel their bodies need to keep up with the sport. 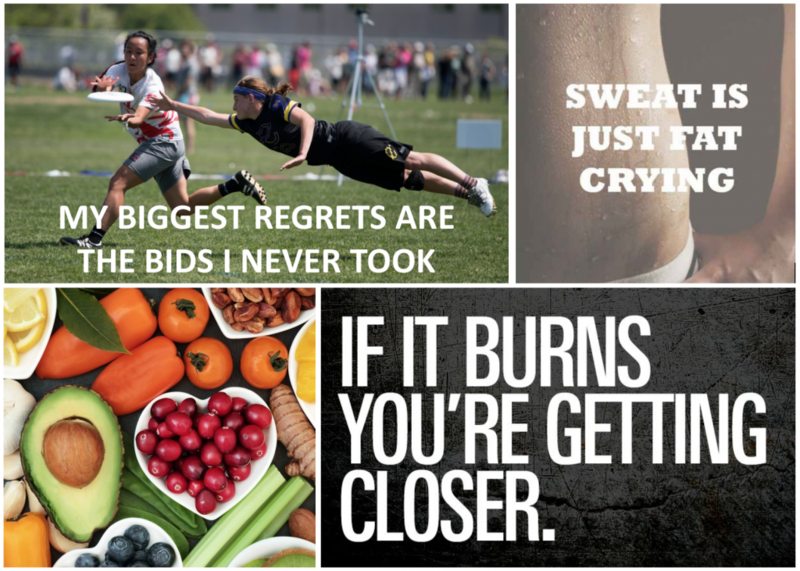 YOU CAN RUN ON AVERAGE 4KM PER GAME OF ULTIMATE..
Are you eating enough for ultimate? A three hour OW! training session or a 40 min workout could easily burn 600+ calories. Make sure your body is able to cope! 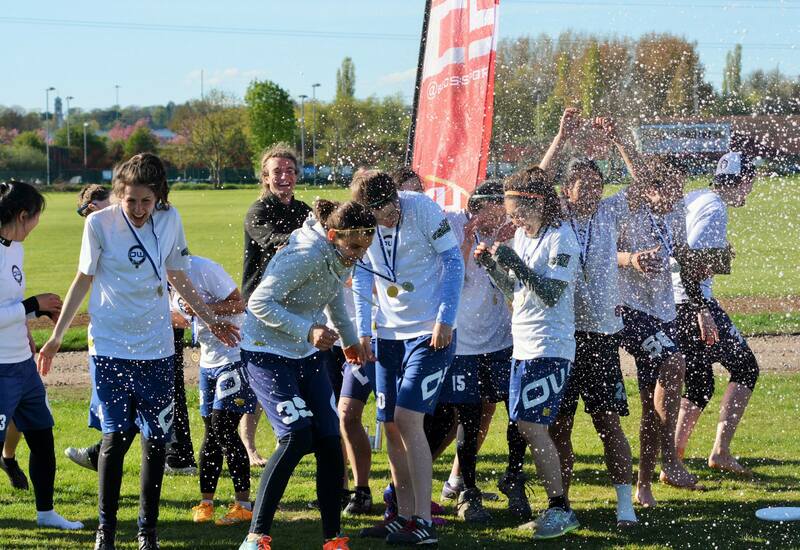 Have a read of this article on nutrition for ultimate. Other help: contact the OW! Welfare Officers. 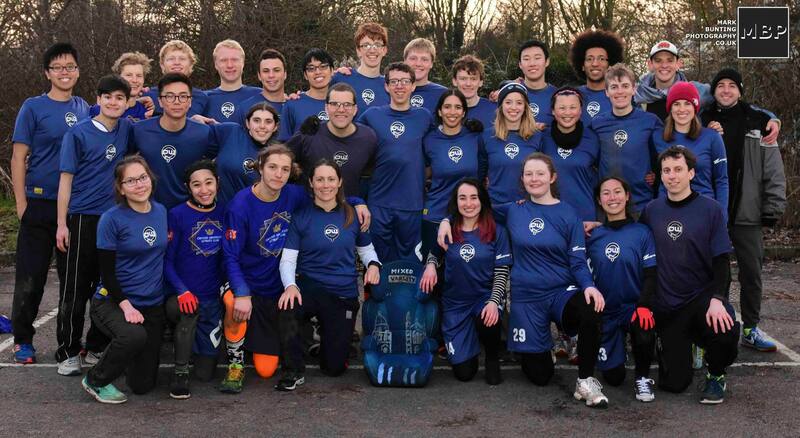 We think this is an important step in achieving gender equality in our club, as well as promoting it to others in ultimate and the wider sporting community. We will hold ourselves accountable, and plan to review it and evaluate how well, as a club, we stuck to these aims and actions at the AGM next year. 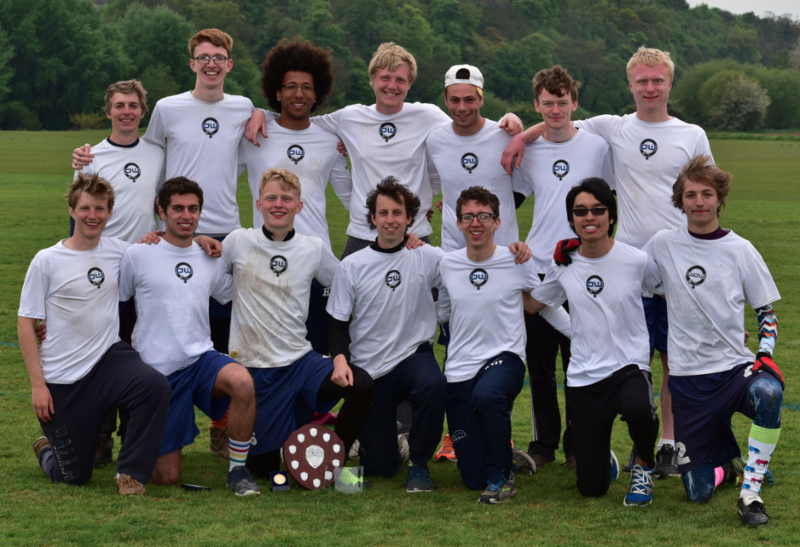 We’d like to say a massive well done to all our players for a fantastic year of ultimate! Thanks for all the hard work you’ve put into training, for persevering through the horrible winter weather and for producing the goods when it counted. The improvement over the whole year has been incredible. Best of luck to those who are leaving Oxford this summer, and for the rest of you: see you next year! 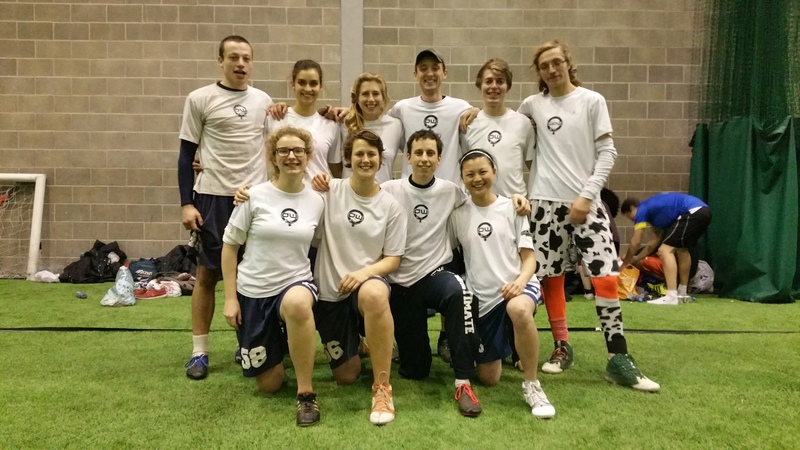 Well done to all our players for a phenomenal year of ultimate! Thank you for all the hard work you’ve put into training and for bringing the intensity that brought home the silverware at the end of a sensational season. Best of luck to those who have exams and those who are leaving Oxford this summer! The World Flying Disc Federation (WFDF) have released a new set of Rules of Ultimate and Rules Appendix. These came into effect on 1st January 2017 so have a read and make sure you’re up to date before you head onto the field! 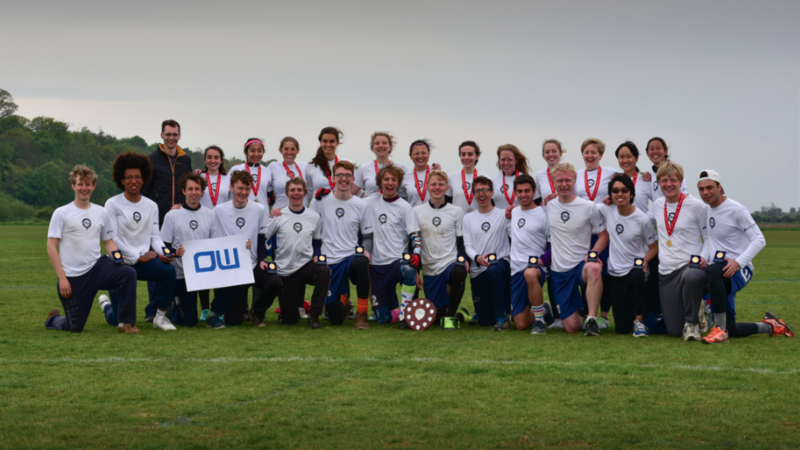 Keep up to date with our training sessions, matches, and tournaments with the OW! calendar courtesy of Jon Daly. If you use gmail you can add it to your own calendar by clicking the “Add by URL” button.